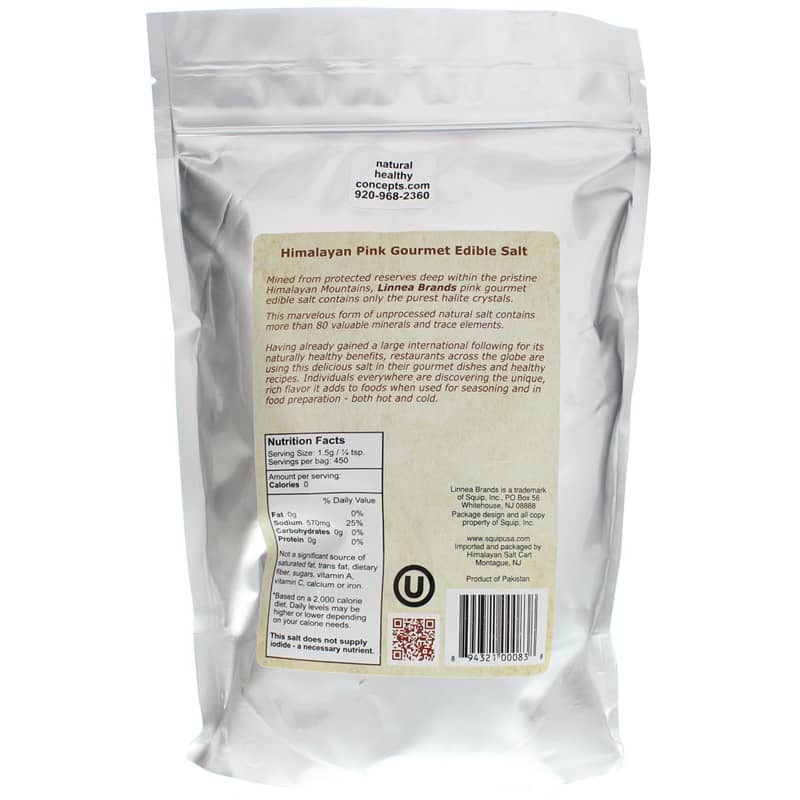 Himalayan Pink Gourmet Table Salt by Squip is pink, gourmet, edible salt with a coarse cut, which makes it perfect for refillable grinders and salt air inhalers. For its Pink Salt, Squip uses the purest halite crystals, mined from deep within the Himalayan Mountains, for this gourmet edible salt product. It is unprocessed, 100% natural, and packed with minerals and trace elements. Cooks around the globe are using it in their healthy recipes. It is also valued for use in halotherapy. Himalayan pink salt is obtained from crystallized sea salt beds with the mountain range. It is believed to be pristine due to the protection of lava, ice and snow over millions of years. The over 80 minerals and elements contained within are thought to work in synergy. 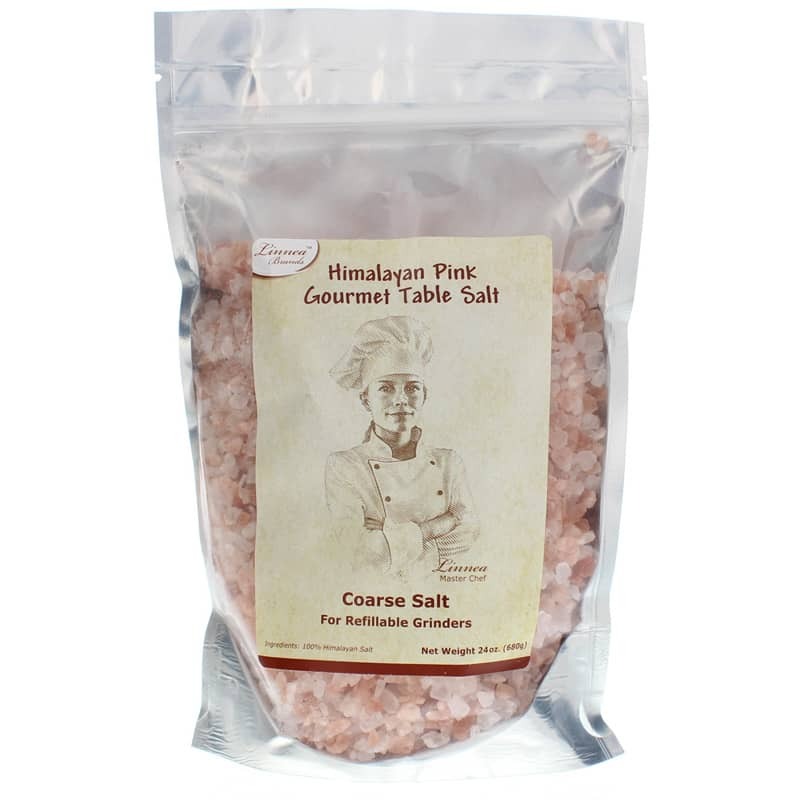 If you're looking for a natural, unprocessed, edible salt that works well in grinders and inhalers, consider Squip's Himalayan Pink Gourmet Table Salt. This salt does not supply iodide - a necessary nutrient. Did not realize this was going to be as coarse as it was. Definitely need a grinder to use. But great product and great price.